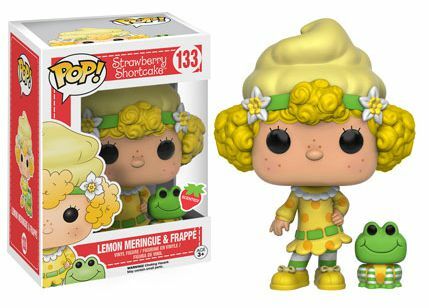 2016 Funko Pop Strawberry Shortcake is bringing some 1980s nostalgia to the main Funko Pop! line. A mainstay in American pop culture, Strawberry Shortcake made her way from American Greetings cards and into the arms of children when Kenner Products made the first doll. Soon after her release, characters were developed, along with story lines, that would eventually become an annual cartoon special. Every doll had scented hair that coincided with their dessert-themed character. 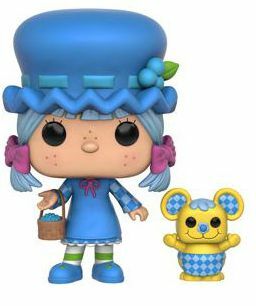 Strawberry Shortcake and her friends also had a special pet whom they were often seen with. 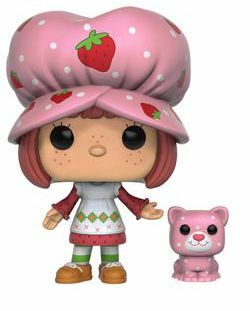 Keeping with tradition, the 2016 Funko Pop Strawberry Shortcake vinyl figures are infused with each character's scent, and also come with their beloved pets. 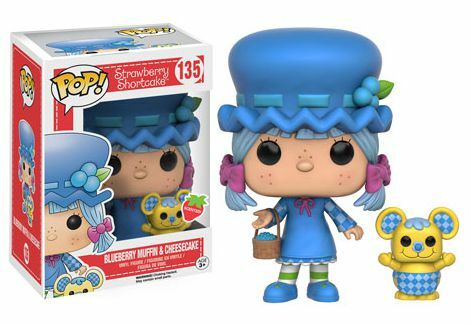 The set includes Strawberry Shortcake with her cat Custard, Orange Blossom and her butterfly Marmalade, Lemon Meringue with her pet frog Frappe, and Blueberry Muffin with her pet mouse Cheesecake. Numbered as part of the main Funko Pop! 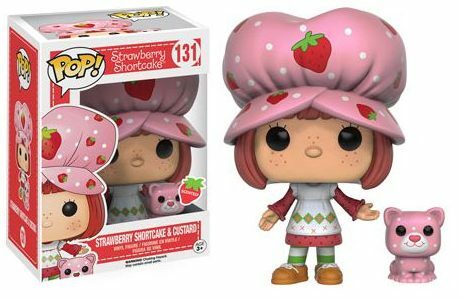 line, each 2016 Funko Pop Strawberry Shortcake vinyl figure stands approximately 3 3/4" tall. 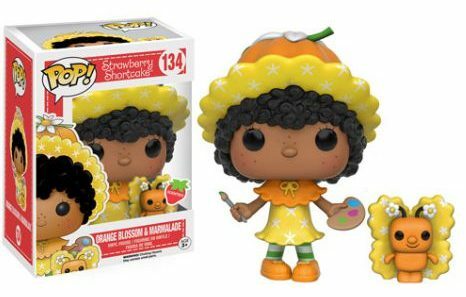 Figure #132 is missing from the checklist which could indicate an exclusive vinyl figure for the 2016 San Diego Comic-Con, but that has not been confirmed. Vintage Strawberry Shortcake Huckleberry Pie Doll and his pet puppy.